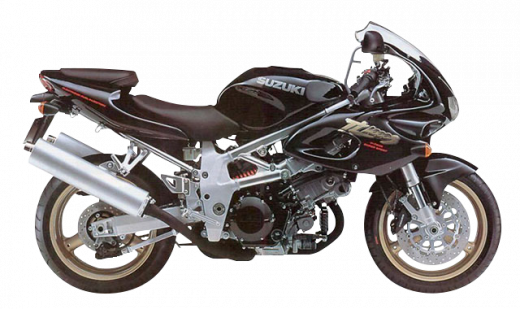 The Suzuki TL1000S was introduced by Suzuki in 1997 and was produced until 2001 and is frequently referred to as the TLS or Suzuki TLS. It is notable for the V-twin engine which is still used in Suzuki\'s modern SV1000 and V-Strom 1000 motorcycles. The TLS motor featured a 90° V-twin for perfect primary balance and had hybrid chain/gear driven cams. A traditional cam chain turned a gear that in turn rotated the cams. This hybrid design eased maintenance immensely and gave the motor additional aural character because of the gear whine.